International freight forwarding and logistics company Panalpina demonstrated high resilience last year. 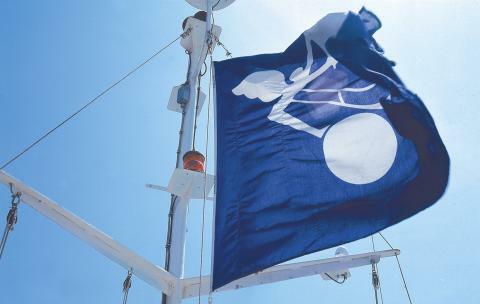 The Panalpina Group reported a slight increase in EBIT and consolidated profit in a very challenging environment. EBIT reached CHF 117.2 million (currency adjusted: CHF 134.2 million or +15.0%) and consolidated profit CHF 88.2 million (currency adjusted: CHF 100.6 million or +16.3%) in 2015. While volumes in Air Freight and Ocean Freight dropped slightly below previous year levels, Logistics achieved the first positive EBIT result for the full year. In 2015, Panalpina’s gross profit decreased 7.1% to CHF 1,473.8 million (currency adjusted: CHF 1,571.4 or -0.9%; 2014: CHF 1,586.0 million). 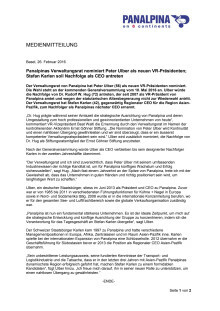 Panalpina reported an EBIT of CHF 117.2 million (adjusted: CHF 134.2 million or +15%) for the whole year, slightly up from CHF 116.7 million last year. The reported EBIT-to-gross profit margin increased to 8.0% (adjusted: 8.5%), up from 7.4% in 2014. The group’s consolidated profit amounted to CHF 88.2 million (adjusted: CHF 100.6 million or +16.3%), up from CHF 86.5 million a year ago. 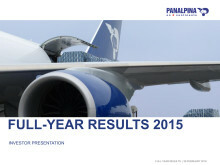 Panalpina’s Air Freight volumes decreased 2.5% in 2015, in a market that contracted by an estimated 1%. This was related to lower volumes from customers in the oil and gas and automotive industries which shipped less cargo. The company transported 836,200 tons of air cargo last year (2014: 857,800 tons). Gross profit per ton decreased 5.8% to CHF 699 (2014: CHF 742). Air Freight gross profit decreased to CHF 584.1 million (2014: CHF 636.3 million). On an operating profit level, Air Freight achieved an EBIT of CHF 88.5 million, compared to CHF 112.0 million the year before. The EBIT-to-gross profit margin in 2015 was at 15.2%, down from 17.6% a year ago. Panalpina’s Ocean Freight volumes decreased 0.8% year-on-year, while the market grew by an estimated 1%. The company transported 1,593,900 TEUs (twenty-foot equivalent units) in 2015 (2014: 1,606,500 TEUs). Gross profit per TEU of Ocean Freight decreased 1.5% to CHF 301 (2014: CHF 306), which resulted in a gross profit of CHF 480.4 million (2014: CHF 491.5 million). Ocean Freight posted an EBIT of CHF 26.6 million in 2015, up from CHF 12.9 million in 2014. The EBIT-to-gross profit margin doubled from 2.6% in 2014 to 5.5% in 2015. 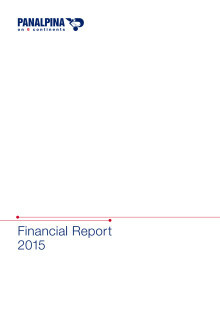 Gross profit of the group’s Logistics product decreased 10.7% to CHF 409.3 million in 2015 (2014: CHF 458.2 million). 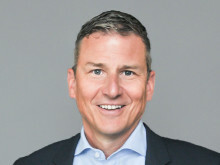 However, by parting from more loss-making facilities, Logistics achieved its first positive EBIT of CHF 2.1 million for the full year, compared to an EBIT loss of CHF 8.2 million last year. In light of the healthy net cash position and stable profitability, the board of directors is going to propose a dividend payment of CHF 3.5 per share to the Annual General Meeting on May 10, 2016. This is equivalent to a dividend yield of 3.1% (based on the 2015 year-end share price). Last year, Panalpina expanded its Logistics Manufacturing Services, acquired its Egyptian agent Afifi and opened new offices in Morocco, Kenya and Myanmar. In addition, Panalpina acquired Airflo, Kenya’s second largest air freight forwarder, specializing in the world-wide export of perishables. “With a good number of initiatives already launched and new ones to come, we are aiming to outgrow the air and ocean freight markets in 2016,” said Ulber. 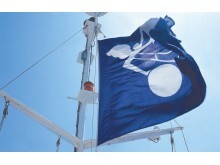 Panalpina expects the air freight market to grow between 1% and 2% and the ocean freight market to grow by 2% in 2016.